“Children do not have the cognitive capacity to understand something which could upend their own developing sense of a secure, natural identity as male or female,” the FRC Senior Fellow for Policy Studies explained. 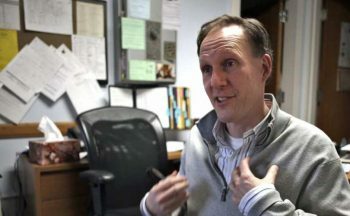 Family Research Council’s (FRC) Peter Sprigg told Life Site News that children will likely be confused and distressed to witness the “transition” of their male school principal. Both Principal Daniels and Superintendent Angelakis have told parents how they can discuss the ‘transition’ with their children. There are many different ways boys and girls express themselves. It is important that we accept everyone as they are. Principal Daniels may look and sound different, but inside Principal Daniels is the same caring person. This doesn’t change the fact that Stanley School is a great place to be and learn.